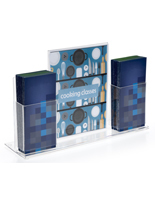 Are you shopping for a sign display that offers both an area for promotional signage as well as a pocket for literature? This combination fixture is the answer. 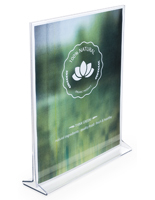 Each sign display is constructed with quality acrylic that provides a clear view of the displayed items. 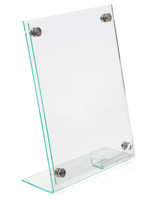 The clear design offers a neutral look that is suitable for any type of business setting. This sign display is often seen in waiting rooms, business lobbies, and travel agencies. 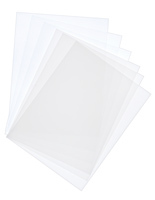 The frame is 8.5" x 11" which is the same size as a standard sheet of copy paper. Users can update this sign display regularly without having to utilize a print shop or graphics design company. New signage can be created on a PC, and printed on a common office printer. 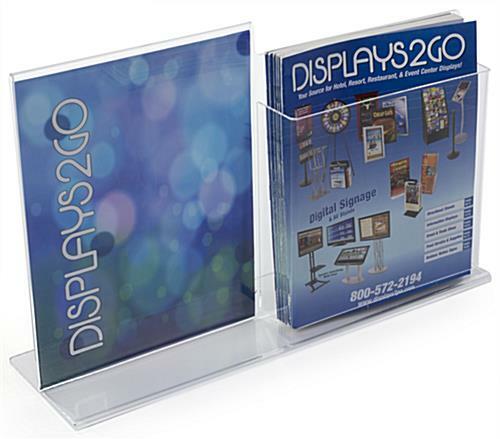 This sign display, also called a literature holder, features an acrylic magazine pocket that is permanent affixed to the base of the unit. 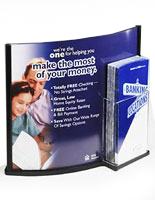 This advertisement stand holds flyers or pamphlets that are 8.5" wide. 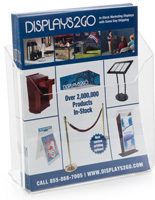 The sign display with a magazine dispenser is an effective marketing tool that is often seen at reception desks and entryways to promote commercial services. 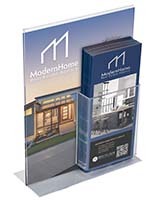 The brochure pocket is 1.75" deep; allowing users to offer a large quantity of standard magazine-size materials. 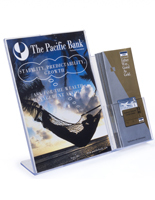 This sign display is popular with travel agents who use the frame to highlight a tropical destination, while offering free literature for customers to take home and read about vacation destinations. 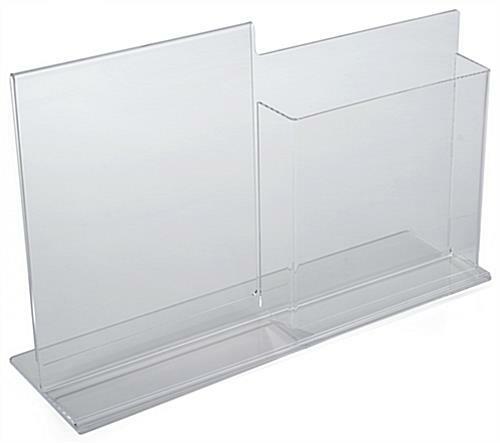 This point of purchase signage holder is an effective promotional presentation tool and great as a countertop display. 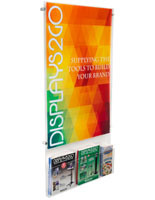 This sign display keeps desktops and common areas looking neat and organized.